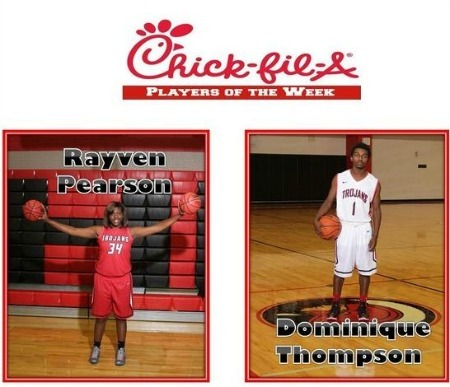 Congratulations to our Chick-fil-a Players of the Week, Rayven Pearson and Dominique Thompson! 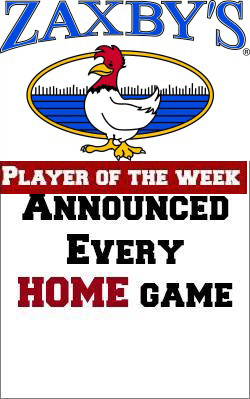 The Players of the Week Program is sponsored by Chick-fil-a on Wynn Drive. 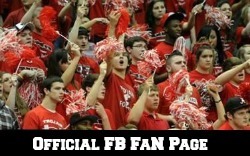 Show them your support, #TrojanNation! 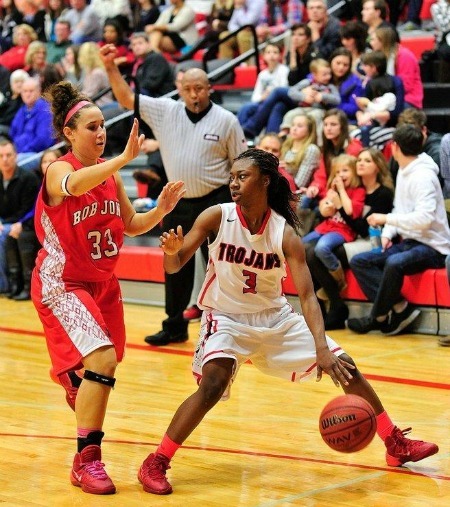 Bob Jones’ Ashely McKay (33) and Hazel Green’s Jada Dale (3). 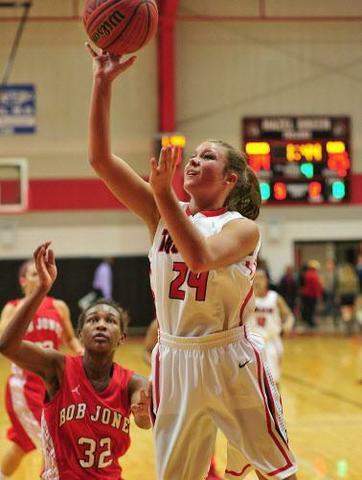 Hazel Green vs. Bob Jones girls basketball at Hazel Green High School Friday Dec. 6, 2013. Congratulations to the Varsity Girls for your win over Bob Jones! Emilee Forrester scored 16 points and Nadia Stewart had 11 points and eight rebounds! As a team, our rebounding lead with a 37-29 advantage! Great win in this Class 6A Area 15 opener! 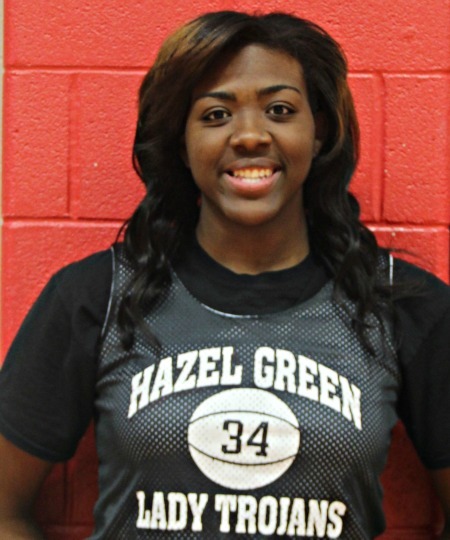 For more game details, click the link below; a featured story on AL.com. Congratulations to the Varsity Girls for your win against James Clemens!! Congratulations to the Varsity Girls for your win over Austin! Varsity girls are off to a great start in the Lady Hawk Thanksgiving Tourney at Danville High School! Congratulations to the Varsity Girls for your win against Lincoln County!! Second team listed is home team. Congratulations Varsity Girls on your Win against Columbia! !